Robb Duncan makes gelato in the kitchen of his Georgetown store. 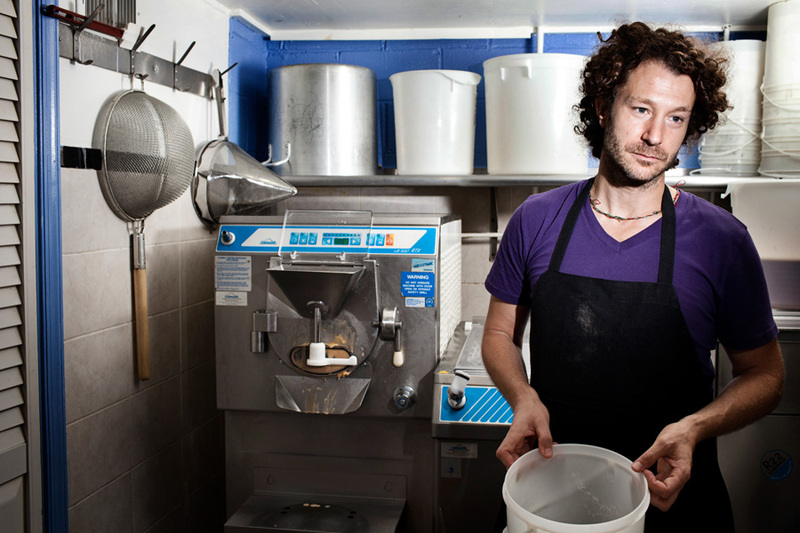 Robb Duncan is the creative drive behind Dolcezza, a local chain of artisan gelato cafes in Washington, DC. Duncan and his wife, Violeta Edelman, opened their first shop in Georgetown seven years ago and now operate three shops around the city. They have a repertoire of over 350 flavors which they rotate regularly based upon seasonally available ingredients, the vast majority of which they source from local farmers and farmers markets. Posted on 08/25/2011 by Melissa Golden. This entry was posted in . Bookmark the permalink.